Bethesda is always a weird one for me. I have never enjoyed a Bethesda Studios game. I’ve not even managed to push myself past the 3 hour mark of an Elder Scrolls game. However, I’ve had a great time with the many games they’ve released as publishers. 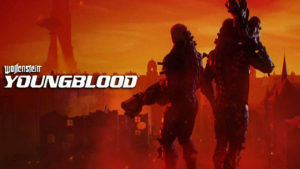 The DOOM remake from 2016 was fun as hell. The current Wolfenstein games have been an insane ride. Even with the problems I had in Dishonored, it was enjoyable enough to play all the way through. Anyway, it was time to find out what they were going to port Skyrim to this year. The conference started with an Andrew W.K. performance that definitely went too long. It was very funny to watch the video feed cutting to the audience, faces looking annoyed and confused, while the stage lights flashed. It really was confusing as they geared us all up for some Rage 2 information only to reveal a dude who likes to party and play piano. Anyway, the game looked like it had some fast action and maybe some fun car combat. A teaser for DOOM: Eternal seems like it is following in the original’s footsteps to bring hell to earth. Unfortunately they just wanted to let us know there will be more at Quakecon. Some details on DLC that is coming to last year’s Prey, including what might be a really fun multiplayer mode which I’m sure will not have the legs it deserves. 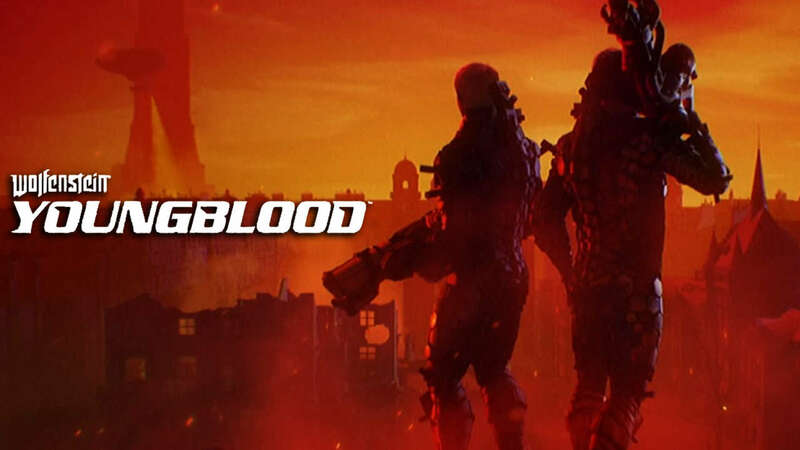 Wolfenstein: Youngblood looks like a spin-off where you play as BJ’s twin daughters for some kind of Co-op campaign. I say spin-off but really this might be DLC? They weren’t very clear about the scope of the project. I wish they had been. If this is a full story experience around the length of the last 2 games in the series I would be pretty excited for it. They also announced Elder Scrolls VI and a sci-fi game called Starfield at the end without any details beyond “next generation games.” Which is frankly confusing as hell in today’s half-step console generations and pivot away from the hard breaks in the past. And with the rumors a while back about Sony revealing a PlayStation 5, that phrasing seems even crazier. Though, I still don’t believe Sony is going to do that. The biggest thing everyone was looking for was Fallout 76. It is such a relief to have actual confirmation that this is an always online multi-player game. It also sounds like a game that has ignored the trajectory of almost every survival game community. Trolls will exist, and the fact that they are including a way to nuke parts of the map where others might have their homes seems like a huge oversight. There were even lines in there that sounded like the game won’t have NPCs, but will still have a story and quests. The biggest thing that confused me about it was that they claimed death wwould not impede your progress. That is cool, and probably needed to avoid the trolls frustrating players away from the game, but if death doesn’t matter then what makes it a survival game? I know I seem very down on this conference, but they did explicitly say one thing that I can pour my whole heart into saying with them.